We are passionate about what we do, and through our local knowledge and expertise we aim to be the best letting and estate agents in Doncaster, South Yorkshire. We specialise in letting and managing residential property. 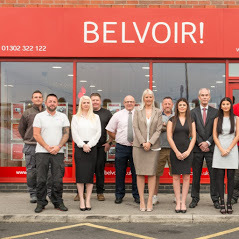 Belvoir Doncaster is a locally owned and managed estate agency with the strength and backing of a national property company. Belvoir is the largest property franchise on the high street with a network of over 300 letting and estate agency offices. Operating since 1995, Belvoir has seen steady growth and are now recognised as the UK market leaders in residential lettings and property management. Belvoir has the scale to deliver the very best results for their Landlords. Terms: Discount given when a landlord has more than one property being managed by Belvoir Doncaster.